Goodbye Boozy Records: GB75: The Hemingers - "Let's Do The Diggy!" GB75: The Hemingers - "Let's Do The Diggy!" Title: Let's Do The Diggy! 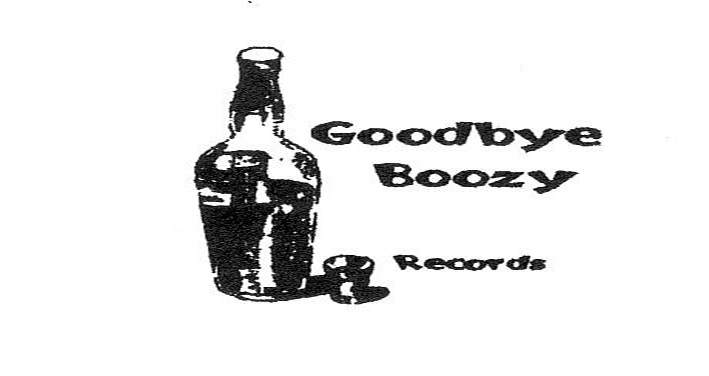 Round two of the latest batch of vinyl from Goodbye Boozy Records is a 7″ titled (Do the) Diggy from Coldwater, Michigan three-piece THE HEMINGERS. It’s their first release pressed to vinyl and hopefully there’s more to follow. The two tracks on their debut 7″ barely last three minutes, making for two quick and rowdy rock and roll stompers. They’re jam-packed with shredded garage guitars, obnoxious vocals and a propulsive, straightforward delivery that breeds both innocence and simplicity. They use nothing but raw energy and their silly antics to help characterize their short but sweet single, which you’ll learn quickly enough in opener “(Do the) Diggy”. Hola Goodbye Boozy, please, you may also upload the Whittingtones , The Luxury Rides and The Cheating Hearts ? GB82: Sick Thoughts - "Blood Red"
GB13: The Blowtops - "Tomorrows Setting Sun"
GB59: Cosmonauts - "He Never Hit Me"
GB63: The People's Temple - "Still (The Same)"
GB69: Tight Genes - "Cop Again"
GB74: Livids - "Midnight Stains"
GB80: Warm Soda - "Tell Me In A Whisper"